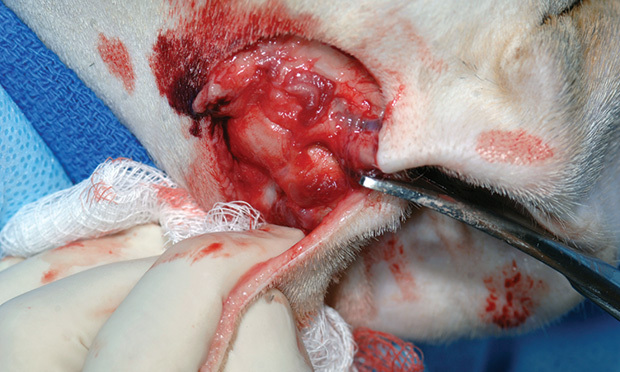 Discover how to help clients understand and address the many causes of aggression in cats, and follow a step-by-step approach for proptosis reduction. 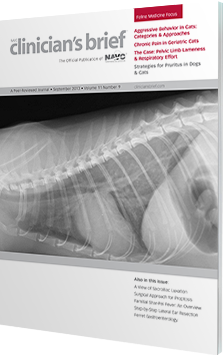 Plus, two experts identify the clinical signs, diagnostic measures, and treatment options for shar-pei fever that every practitioner should know. 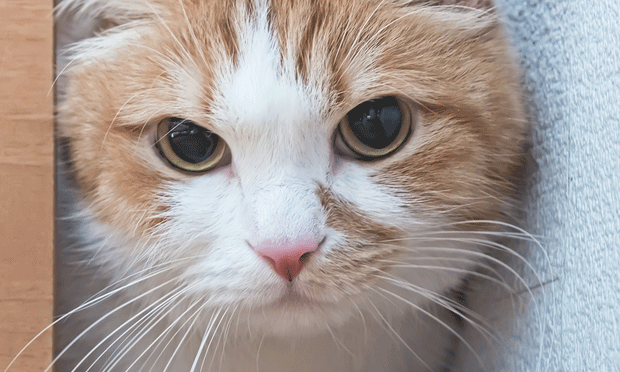 Understanding aggression types and their warning signs can help practitioners and clients alike develop a safe, effective approach to managing aggression in cats. 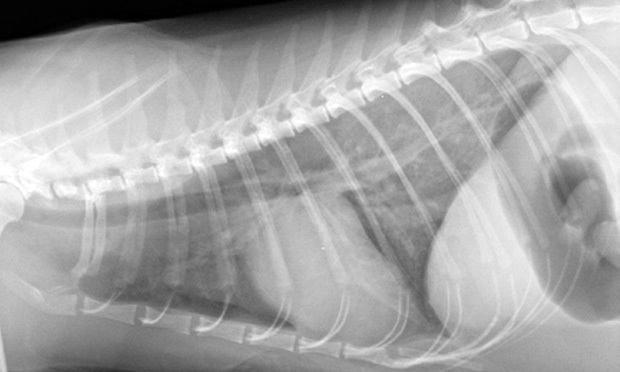 A 9-year-old domestic shorthair cat presents for acute pelvic limb paresis, increased vocalization, and severe dyspnea. 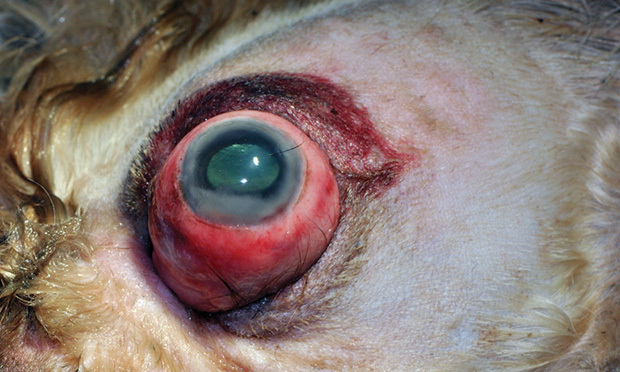 What’s your diagnosis? 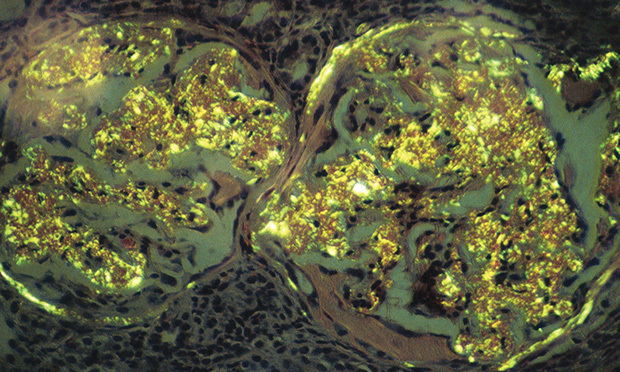 A thorough understanding of shar-pei fever—including its signs and pathophysiology—is important for effective diagnosis and treatment approaches. 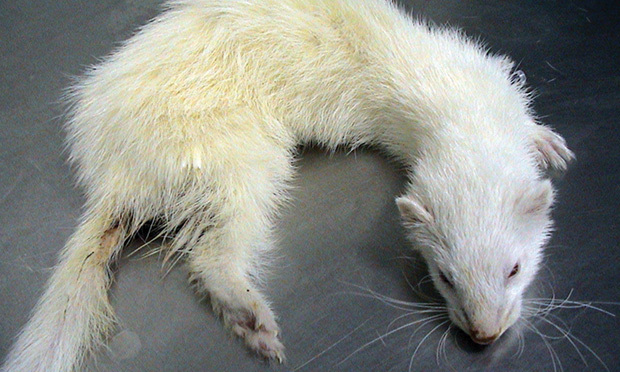 When diagnosing and treating GI disease in ferrets, it is important to consider the primary and secondary types of the disease. This step-by-step approach to lateral ear canal resection demonstrates proper technique for a successful procedure and outcome. 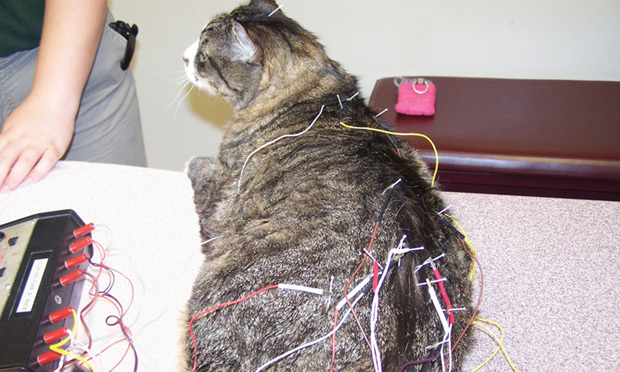 Treatment for cats with degenerative joint disease is targeted at relieving pain and promoting good quality of life. 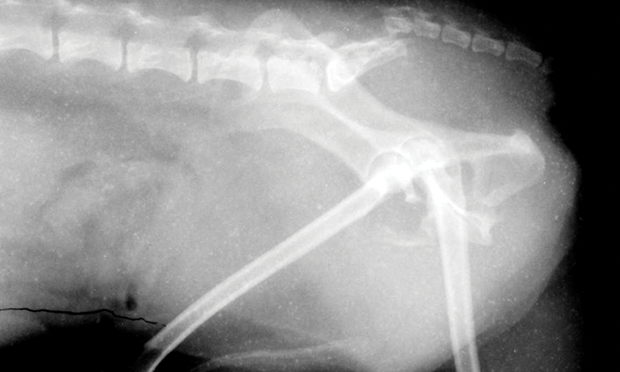 These images help illustrate the diagnosis, treatment, and outcome of sacroiliac luxation. 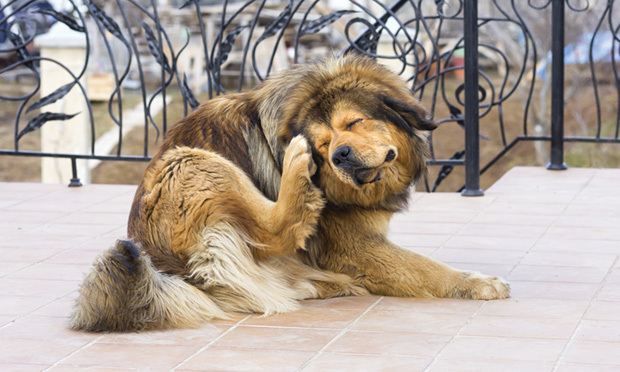 Understanding the 4 causes of pruritus is the key to diagnosing and treating this skin disease. Although prognosis for vision is poor, prompt proptosis treatment may save the globe. An expert provides a step-by-step approach for surgical treatment. Detomidine for the Anxious Patient?